Austin businesses must begin catering to the mustache community by supporting a prominent cause: helping to reduce the scourge of wet whiskers. 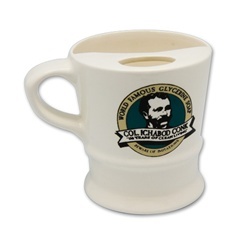 Why, in a city so enamored with facial hair and never-ending, cyclical consumption of coffee and booze, do we still suffer the absence of mustache cups? As far as I know, not a single cafe, restaurant or bar is helping to keep area mustaches dry. Austin, where are you on this? It’s embarrassing. If you’re unfamiliar, this is a mustache cup, or rather, an array of mustache cups. Is this for lady mustaches? It’s simple, yet brilliant. As you can see, within the circumference of the cup is a ledge, or mustache guard, that keeps the drinker’s mustache clean and dry. Invented in the mid-1800s, when the popularity of nose beards and regular beards mirrored America’s spirited frontier expansion in some sort of Manifest Destiny of hair, these must have been far more prevalent. There were simply more mustaches. And furthermore, more of those mustaches were waxed. Imbibing hot tea or coffee would undoubtedly melt that wax, having it leak into the cup, resulting in a horrible coffee/mustache wax combination. Today, while fewer mustachinistas wax the ol’ nose neighbor, the fact remains that nobody wants a leaky mustache. If I’m drinking coffee at work, I can’t have it dripping onto important documents. I just can’t. And, as I believe it a courtesy to the ladies to help avoid kissing some ol’ whiskey whiskers, mustache cups sure would be mighty welcome at the bar. On a side note, I bet Sam Elliott has an awesome mustache cup collection. I wonder if that’s what people always buy him for Christmas, and he’s growing tired of the same gift every year. 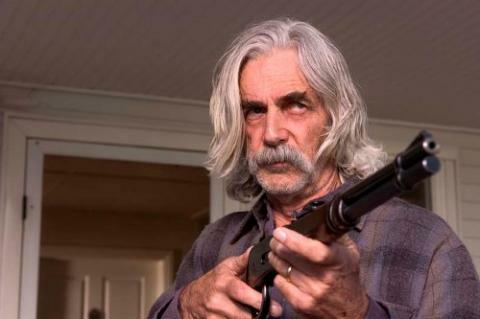 An angry Sam Elliott defends his right to a drippy mustache. If he wants to string cheerios from the damn thing, by God we ought to let him. Now, while I lament the absence of mustache cup accessibility, I would be remiss not to mention one local establishment’s consideration of mustache rights. Hot dog utopia, coffee heaven and all around impressive bar, Frank, offers the ‘Stache Dog,” a hot dog (non-menu special request, I believe) with all the fixin’s beneath the dog, so as to minimize a post-meal mustache medley. That’s a bold, innovative start to ending mustache neglect and championing its dignity; but we need more. In fact, I think the Frank logo would look real handsome on a mustache cup. I hope to pitch this concept to the management of various establishments asap, for the struggle against sloppy ‘staches has endured too long. Too long! 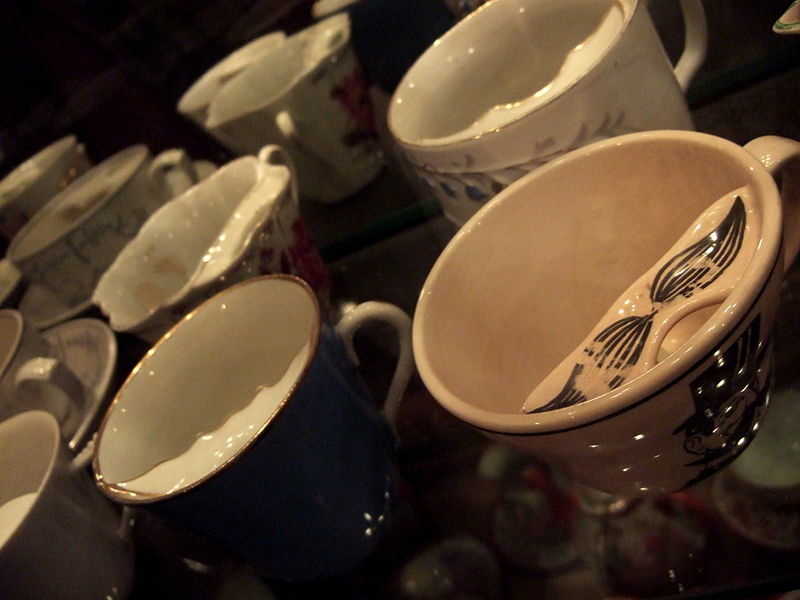 Austin needs to revitalize the mustache cup industry and promote mustache hygiene in a creative way. We have the technology. We have the vision. We have the mustaches. We will no longer stand (or sit, probably sit) idly by while mustaches exude shame, drip by drip. Nay, we will demand drinking cups with protective ledges. Demand mustache cups! Demand mustache respect!